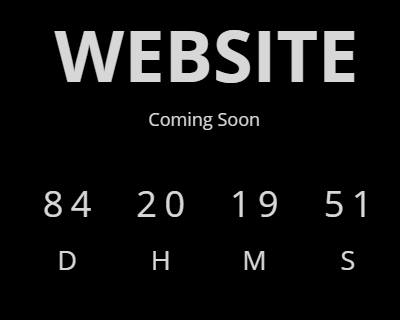 Howdy, at this occasion i like to offer some impressive jQuery countdown we have obtained for you, a jQuery timer or countdown are great solution if you are planning to show the remaining time to launch your website, this useful to capture new audiences while preparing your website. 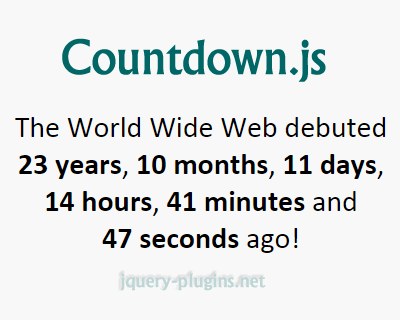 In this post, you will find jQuery countdown plugins for your upcoming work. 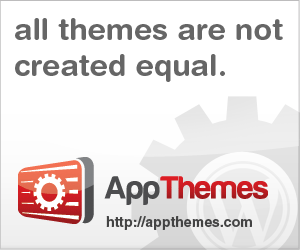 These plugins is also useful for coming soon / under construction page, coupons, auction websites. If you discover about another alternative jQuery countdown on the internet that you really think that it can be put upward on the list. feel free to show link over the comments part. 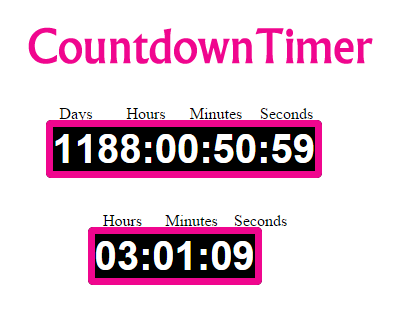 CountdownTimer is a reverse countdown jQuery plugin for displaying countdown as per your need. 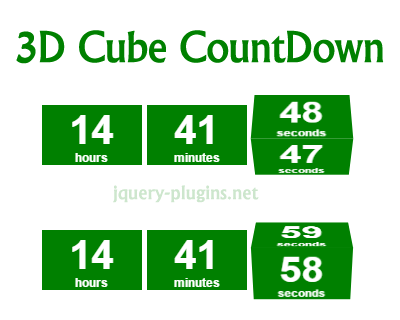 Cube CountDown script takes advantage of CSS3’s transform property to display 3D cubes that rotate to count down to any desired future date. It supports either a horizontal or vertical layout, with its interface scalable on different screen sizes.